Yes, that is the matte case I eluded to in my post. I purchased this matte case from Meranom and transferred my Scuba Dude from his 710 case. Now compare it to the brushed from the 090 SE. igorIV, DerangedGoose and GearHeadDreaming like this. Oh OK, I can see the difference now. Huge thanks to MattBrace for his help!!! GearHeadDreaming, JonS1967 and Thunderdaddy like this. Good lume is really worth doing, last night I could actually see the time all evening and even at 4am the hands glowed on next to the bed. Before my Vostoks lasted only a few minutes. Indeed it is. I need to break out my lume again for some existing and incoming dials. Which lume do you chaps recommend? 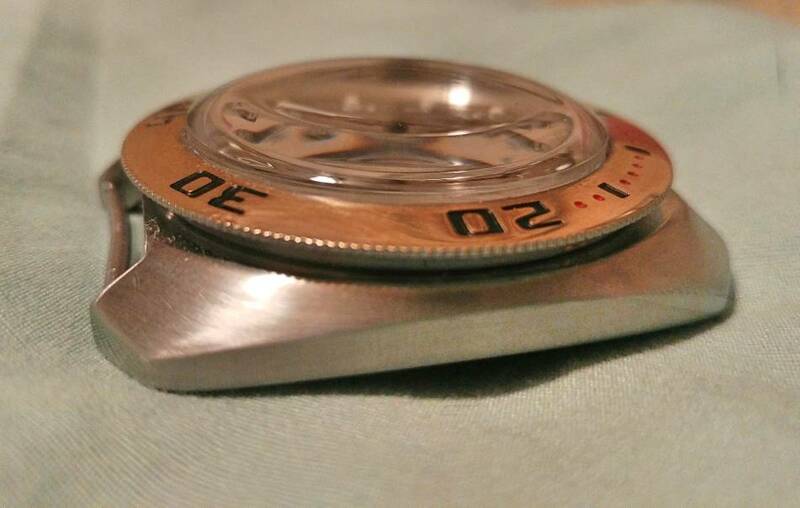 case, bracelet, bezel, crown, hands? 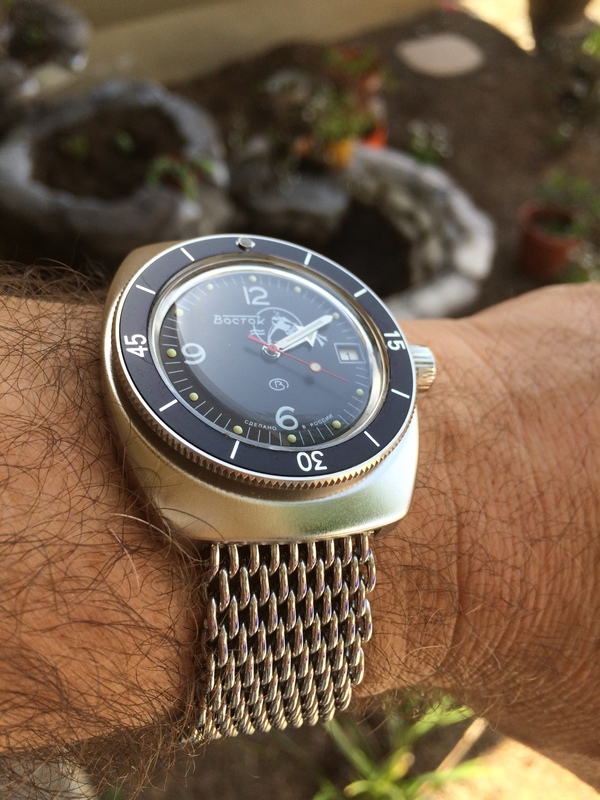 I like Dr. Ranfft's lume, but I've not tried any others. It is pre-mixed, which is one of the reasons I chose it. But I know one prodigious modder uses it and I assume he knows what he's doing. Thank you for the info and inspiration! I have a Amphibia with this "ministry" case in the mail and also have plans to unbling it. I refined the finish a bit with the 3rd to finest manicure file. It's more satiny. In the corner you'll see the obligatory cat hair. Lokifish and boz80 like this. But how do you get such nice lines? If you're up for mixing your own, I use Glow Inc. V10 (equal parts 5-15 and 15-35) with a near transparent white binder (clear lacquer with just a touch of white lacquer). The blend gives a peak at 15 microns while having some small crystals to help with smoothness and some larger crystal to increase glow time. 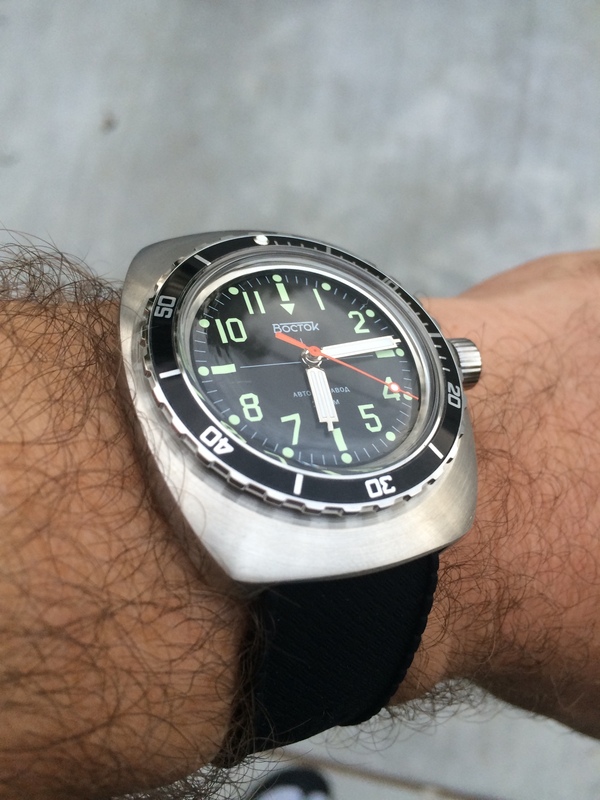 I found it closely matches the early 90's Vostok formula in grit/color pretty well but glows like crazy (+12hrs). To compare it to NoctiLumina, it sits between the G15F and G15UF pigments in "grit" and duration for a lot less money. Last edited by Lokifish; May 17th, 2017 at 06:06. Tarquin and saturnine like this. I will post a picture of the result on my object when I have made a try to achieve something similar. It should show up in the mail today I hope. Last edited by boz80; May 17th, 2017 at 08:49. Yeah I've got one of these kits and made my first attempt at relume last weekend. Still not got the application quite right but I have observed that the glow doesn't seem to last as long as I'd hoped. Perhaps I'm not getting an optimum mix ratio, or perhaps it's the LED light which I used for charging!